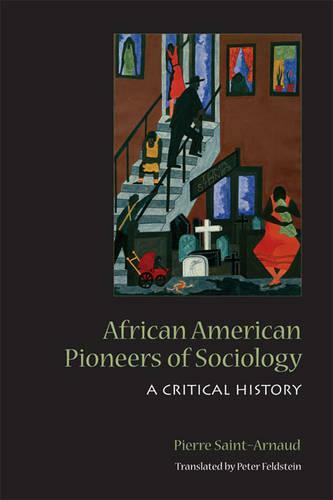 In African American Pioneers of Sociology, Pierre Saint-Arnaud examines the lasting contributions that African Americans have made to the field of sociology. Arguing that science is anything but a neutral construct, he defends the radical stances taken by early African American sociologists from accusations of intellectual infirmity by foregrounding the racist historical context of the time these influential works were produced. Examining key figures such as W.E.B. Du Bois, Edward Franklin Frazier, Charles Spurgeon Johnson, Horace Roscoe Cayton, J.G. St. Clair Drake, and Oliver Cromwell Cox, Saint-Arnaudreveals the ways in which many aspects of modern sociology emerged from these authors' radical views on race, gender, religion, and class. Beautifully translated from its original French, African American Pioneers of Sociology is a stunning examination of the influence of African American intellectuals and an essential work for understanding the origins of sociology as a modern discipline.